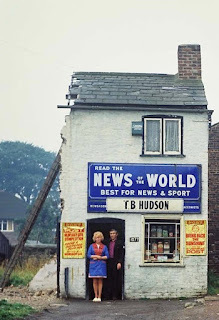 I can't imagine T B Hudson sold too many more copies of the News of the World after this photograph was taken. In fact, he probably shut the door for the last time later that day - if indeed there was still a door to shut. 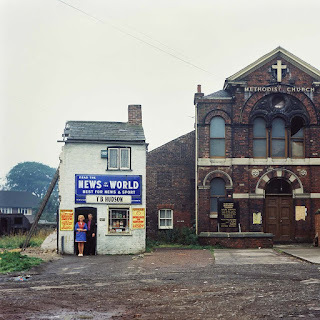 We have Peter Mitchell to thank for this gem from 1974. 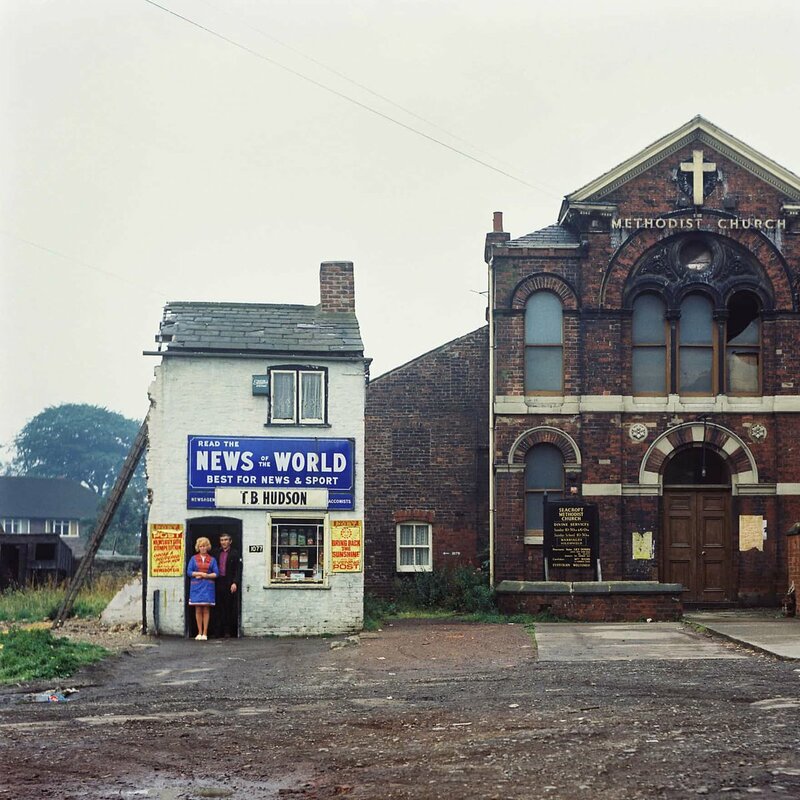 Mitchell was a truck driver from Leeds in the seventies and, on his rounds, would grab his camera at every opportunity and record the ever changing city in which he lived. 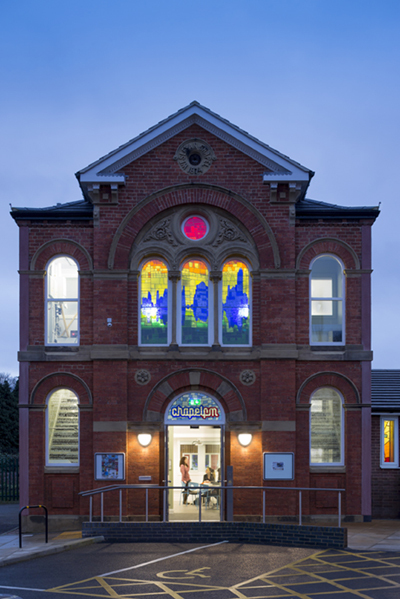 That's what I call proper social history. Meanwhile, the Methodist Church next door, you'll be pleased to know, is now an arts venue, home to Chapel FM as well as still being a place of worship. The Lord giveth, and the Lord taketh away. Wonderful photos and I really love the whole 'then and now' thing. Funny we should both be writing about (circa) '74 in our latest posts. It seems both very familiar and yet also unfamiliar at the same time. Funny, yes. Familiar, yes, again! Anything that we have even the remotest memory/grasp of, despite '74 being a time as (according to others) 'before us', we are still drawn to - see moths and flames.